At Draintech we understand that by having excellent and dedicated employees we have become a “best of breed” service company and a vital partner for a number of our clients across the UK. In addition by investing in the ongoing development of our growing workforce we are instilling our professional mark and success for the future. We are always looking for energetic, hard working and enthusiastic staff. Click here to see what current vacancies are available. Draintech endeavours to looks after our employees with great benefits, personalised training programmes, the highest standards of health and safety and real career opportunities. 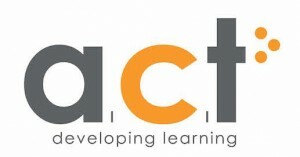 At Draintech we are dedicated to our Apprenticeship programme by partnering with ACT. We offer young individuals throughout Wales the opportunity to join Draintech’s Team as an Apprentice in particular departments to help them gain the experience and knowledge to further their careers. Draintech is proud to be a Family Run Business and we are dedicated to all of our employee’s development. We were delighted that this was recognized in 2014 when Draintech was awarded “Investors in People”.